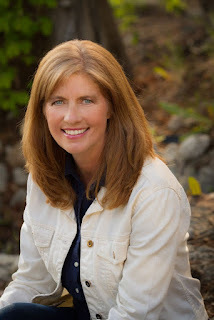 Kristina is the author of the Stone Mountain Mystery Series. Her books have garnered the attention of prestigious crime writing organizations in Canada and England. Crime Writers of Canada nominated DESCENT for the Unhanged Arthur award. The Crime Writers’ Association nominated BLAZE for the Debut Dagger. She is published in the Ellery Queen Mystery Magazine. And in Kristina’s own words…. Have you ever wondered if alpine ski racing is dangerous? Speed is everything to an alpine racer. The characters in DESCENT demand it. They have specialized technicians who follow them on the World Cup circuit, striving to give each skier an advantage, to squeeze out that extra bit of speed from the equipment. The technicians file and wax multiple skis for each skier. Always busy trying to give their athlete an edge over others. Everyone wants to cross the finish line first. But at what cost? What happens if the tuner loses track of the skis, misinterprets the conditions or ignores a racer’s injury? The tuner can cause havoc on the course. For a mystery writer, there can be no accident. Hence the birth of DESCENT. I’ve watched many world class ski teams train, and one day I asked myself what would happen if a racer was murdered while skiing on a training run? 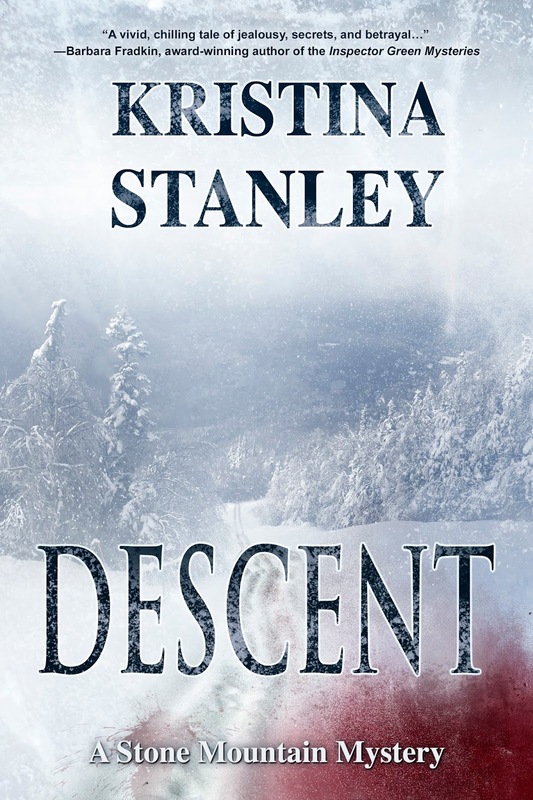 DESCENT will answer that question if you read to the end. With all the forest fires this season, BLAZE, the second in the Stone Mountain Series deals with a current Canadian and American issue. Of course, BLAZE is a mystery and arson is the crime, but this time it looks like Kalin Thompson is the target. BLAZE is scheduled for release before the end of 2015. Mom isn't a writer, although she should be: she comes up with some great story ideas, and she knows all the good tricks. When I was little, Mom was divorced with sole custody of me, working two jobs, no alimony, only $20 a month in child support. Still, every year, Christmas brought me every single thing I'd been begging for all year. I was dazzled. When I was grown and had my own child, Mom told me the trick. "Right after Christmas, when the toys went on sale, I would pick out some things I thought you'd be old enough to enjoy the next year and I'd put them on layaway. Then, all year, I would talk those things up and get you all excited about them." The trick to fulfilling reader expectations is not to follow through on your promises. The trick is to create expectations in the reader of what you intend to give them. Ever see The Sand Pebbles? It's famous for being the first American Hollywood movie where the main hero, played by a major star, freakin' dies at the end. Let's just say the whole movie was sad as all get-out, but, at that point, totally fulfilled viewer expectations, which were: death is all around, good intentions won't help, poor decisions sure as hell don't help, dying isn't the worst thing that can happen to you and is (after all) inevitable. My favorite novel for illustrating this is THE FACE OF TRESPASS by Ruth Rendell. Brilliant! The very first paragraph, which seems full of random stuff, plants the seeds of everything that happens subsequently. Decide what you want to happen and how you want that to affect your reader. Start laying down the groundwork for that from the first and build on that (if you're a pantser, write your rough draft, think of that as a rough sketch of a house plan, then go back and finalize the groundwork and build-up). And that, boys and girls, is the trick. This week, young adult fiction has been on my mind, which is odd in a way. I don’t write YA fiction and don’t plan to. But I have read a fair bit of it. In fact, some of the most memorable books ever I’ve read fit this category. The Harry Potter series is just one example. This morning, I was listening to a CBC radio discussion between a book reviewer and the host about Harper Lee’s Go Set a Watchman. As you probably know, there’s been a great deal of fanfare when the book was released earlier this week. You may also know that the reviews are mixed and not everyone was thrilled with the different perspective on Atticus. I won’t spoil it by telling you why. Plenty of reviewers have already done that. Anyhow, one of the things that struck me during the discussion was the host and reviewer’s agreement that To Kill a Mockingbird was actually a YA novel. After all, the story is told from Scout’s POV. Looking back, I remember that I was a teen when I first read the book, yet I’ve never thought of the book as YA fiction, especially given that the topics were so serious, so damning, and so adult. I think there’s something about great YA fiction that really sticks with us, perhaps because we read it when we’re young and the emotional impact lingers. Perhaps it’s because a compelling story transcends all age groups and most cultures, I don’t know. Here’s another YA tidbit. I read a fascinating article in Slate this week about the original ghostwriter of the Nancy Drew series. Her name was Mildred “Millie” Wirt Benson and the article states that she was one of the most interesting women to ever write YA fiction. She was a journalist, aviator, and feminist who published her first Nancy Drew at age 24 in 1930. (By the way, Nancy Drew is now 85. I’d like to think she’s still sleuthing). In addition to the 23 Nancy Drew books Benson produced for the Stratemeyer Syndicate, she also wrote her own children’s books under different names. There’s more interesting stuff about her life, so give the article a read. Last, but not least, CBC has produced a list called 100 Young Adult Books That Make You Proud to be Canadian. I’ve read Anne of Green Gables and a couple of others. I know many of the authors’ names and titles, but have yet to sit down and read these Canadian YA books. Now, I have another whole list of great reading material to tackle! I had a birthday last week. It was a milestone year, but not quite the biggie that my friends suggested it would be. I chose not to make my birthday a biggie because I don’t want to change a single thing in my life right now. I have a part-time day job that I like, and I still get to write fiction, blogs, or book reviews every day. I’m currently teaching a writing workshop for the month of July and preparing for another talk on August 1st. Honestly, I’m not ready to retire, although my hubby are having these conversations more frequently lately, especially when we get together with friends of a similar age. Still, given this milestone year and that we’re at the midway point of 2015, I decided to take stock and see how the year’s going so far. To be truthful, it was more challenging than I thought it would be, although not quite as tough as last year. Last year, I had a full-time job, wrote two blogs a week, edited my fourth Casey Holland mystery which was released in September, then submitted the 5th installment to my publisher. I also start writing novellas, attended several writing events, and sold books during the Christmas season. Granted, my day-job assignment ended in October, so Christmas selling season was less stressful than it could have been. Having gone through a full-time job and a rigid writing schedule last year, I assumed that 2015 would be so much easier that I signed up for or accepted a number of different writing-related events this spring. Three of them were speaking events or workshops, all of which required a fair bit of research and preparation. Hubby and I also took a mini vacation out of town to attend a large, three-day craft fair. We travelled on Thursday as the fair started at 10:00 a.m. the next morning. In fact, the first day of the fair was eleven hours long! After the fair ended on Sunday at 4:00, we packed up quickly and made the five-hour drive back to Vancouver as both of us had to go to work the next day. While the speaking and selling was going on, I finished editing my first mystery novella. I’m delighted to report that Dead Man Floating was accepted for publication by Imajin Books the day after I submitted it. We’ve been working on the final edits and I now find myself preparing my first virtual launch party in Sept. on Facebook. I’m finding that preparation for this event also requires a fair bit of work. There are guest blogs to arrange, tidbits to incorporate at the launch, reviewers to seek, and promotion to arrange. It’s new, challenging, and exciting, which has been the theme of most of the events I’ve done so far this year. Speaking to a large group of people, or presenting a workshop is still out of my comfort zone, thus creating some stress, but when the day comes I enjoy myself and am always glad I did it. I don’t think I’ve bitten off more than I can chew this year, although some days it feels like it. But as a professional writer who wants to continue growing a career, isn’t challenging oneself necessary? I’m devoting the rest of this year to embracing new challenges and learning and having fun. I’m sure there will be more moments of doubt and stress as my launch party approaches. But then I ask myself, how would I feel if I was too chicken to try? Now onto this week’s topic. A lot of ink and noise has cropped up from Amazon’s decision to pay authors enrolled in Kindle Unlimited (KU) by the number of pages read rather than by the number of book titles. As mentioned last week, there’d been a lot of complaints about authors “gaming the system” which was to write quick 50-page books, for example, list them in KU, then collect a portion of the pot at the same rate that authors with full-length books received. Needless to say, those who were writing shorter works stood more to gain than others. Thus, Amazon’s change. The brouhaha this has created is fascinating. Some bemoan the fact that those who write romance and erotica specialize in shorter works and will now lose much-needed incomes. According to one article, some of these writers are disabled or stay-at-home-mums or veterans. There is much banter about how authors are leaving KU in droves, crying tears, crying foul, and well, just crying. On the other side of the fence, authors who write full-length novels only applaud the change. Of course, this doesn't mean that readers will actually finish the book or read more pages than they would in a shorter work. Maybe it won't effect full-length novelists' income that much at all. Who knows? And then there are those who say, wait a sec, let’s just take a look at the numbers before we wring our hands and shout ‘the sky is falling’. One of those is Chris McMullen, who takes a commonsense approach to the situation. He says look at the numbers, and shows you how to do this. Hugh Howey has also written a good piece which also states that it’s too early to tell anything. KU’s changes have only been in effect since July 1st for heaven sake, so why freak out so soon? And here’s another excellent point: KU is voluntary. No one’s forcing authors to join or stay. If they don’t like it, there are other options. No kidding.